← A leap of recipe…. 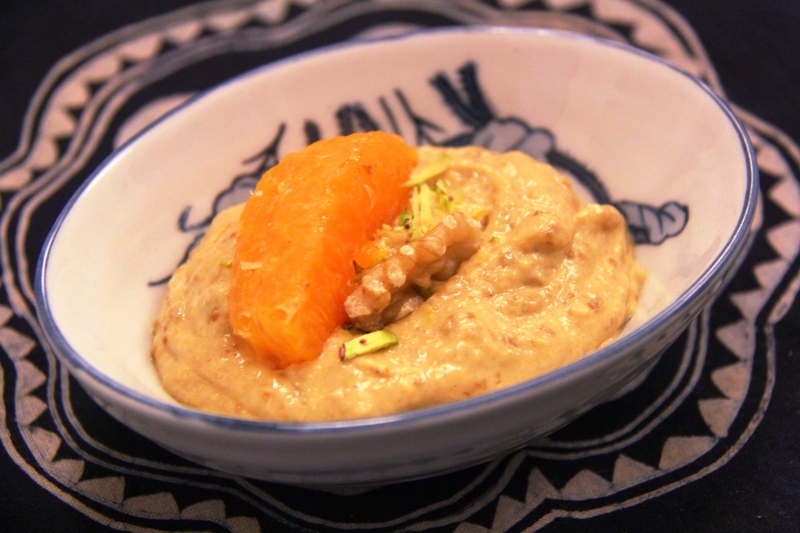 A new flavour for shrikhand – roasted figs, orange juice and pistachios. I used dried turkish figs and roasted them to get more flavour. I prepared the yoghurt as I normally do for shrikhand, using a cheese cloth to drain out the whey. And then I blended the yoghurt cream with the roasted figs and a little squeeze of orange juice, chilled it and served it topped with a slice of fresh orange, pistachios and walnut. The graininess of the figs provided a nice texture to the shrikhand and made for a very different and enjoyable taste. This entry was posted in Marathi cuisine and tagged dessert, figs, Shrikhand. Bookmark the permalink.